Cross section of seminiferous tubules in the testes visually show how the hybrid of anurans are distinct from each other, particularly from the control one. Of course, morphologically you can identify the hybrids from the control one, but always this kind of identification may not satisfy you. However, the internal cell rupture or state of seminiferous tubules in meiosis stage (seminiferous tubules filled with compact bundle of normal spermatozoa/seminiferous tubules with pycnotic nuclei) clearly give you the evidence how a hybrid really distinct from the control one. This is a clear-cut separation between and/or among hybrids and controls. 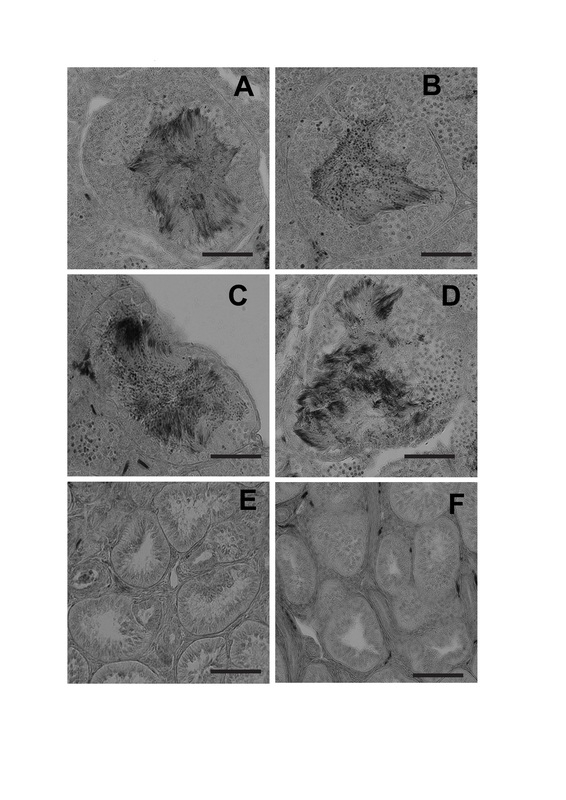 See details in Hasan et al., 2017: Reproductive isolating mechanisms in the Bangladesh Coastal Bullfrog Hoplobatrachus litoralis and its congeneric species revealed by crossing experiments and examination on spermatogenesis of the hybrids. Asian Herpetological Research, 8:27–38.